This pool home is a family and entertainers dream, centrally located in a highly desirable Wheat Ridge neighborhood. 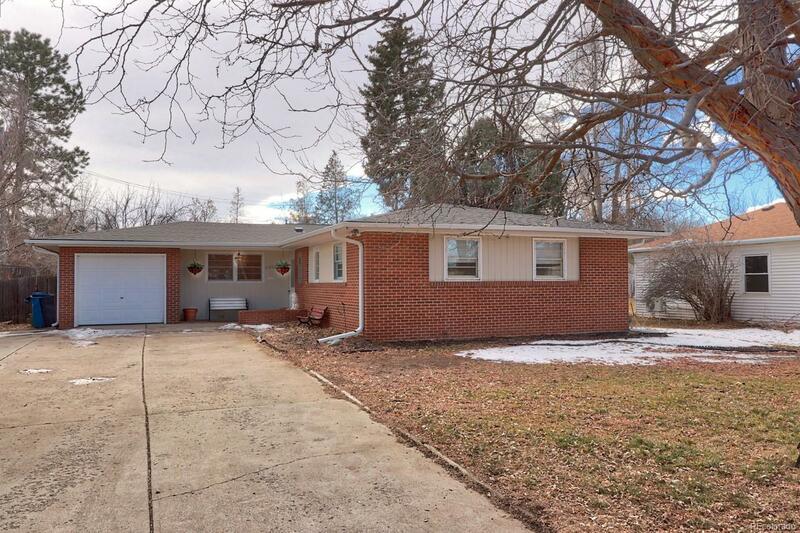 Only 5 miles to downtown Denver (12 minute commute). Safe walk to all nearby restaurants, bars and shopping This home features a 1/4 acre fenced lot with a awesome heated swimming pool (there is a well to fill the pool and possible watering) and gazebo. Huge driveway with off street parking and room for an RV. The kitchen features a large breakfast bar/eat in counter and newer stainless appliances with a fireplace. There is a formal dining area and large living room with a wood burning fireplace. The master suite includes a sitting area (or office space) and a jetted tub. There is also a 2nd master bedroom perfect for a roommate. The washer and dryer and all appliances included. All three bathrooms have been remodeled. This charming home in a ideal location is priced to sell now.